Knowing where to start can be tricky, but don't worry, we are here to help. We have courses for pet owners and pros, for those starting out and for those seasoned in animal care. 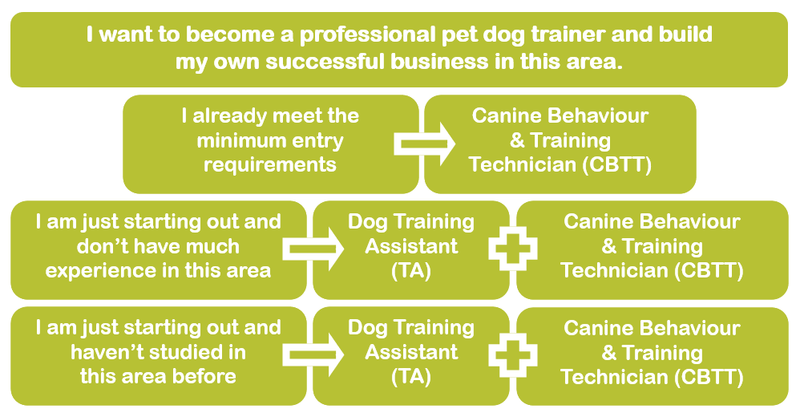 We will guide you through your choices, making sure to help you understand the workings of the animal care, training & behaviour industries. This in itself is difficult, given the lack of regulation and best practice. If you want immediate help, use the form to the left to send an email directly to us and we will discuss your goals and options with you, helping you to develop an individualised plan. Scroll down and see which courses best suit you and your experience, knowledge and goals.